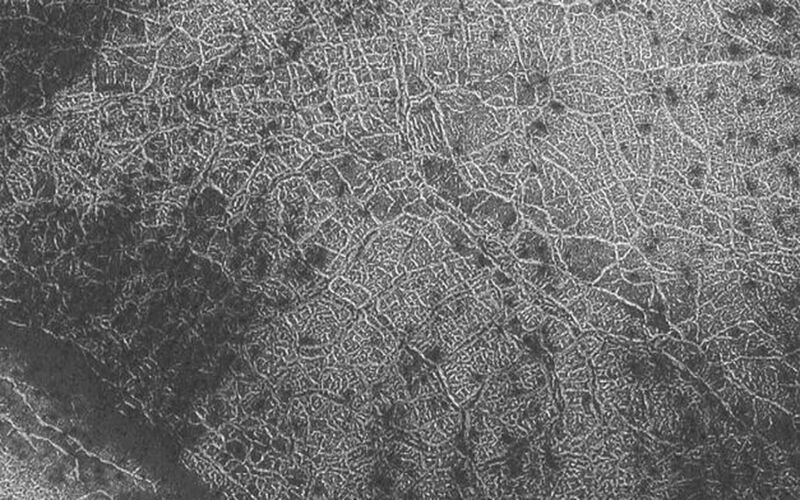 Seasonal frost can enhance the view from orbit of polar polygonal patterns on the surface of Mars. 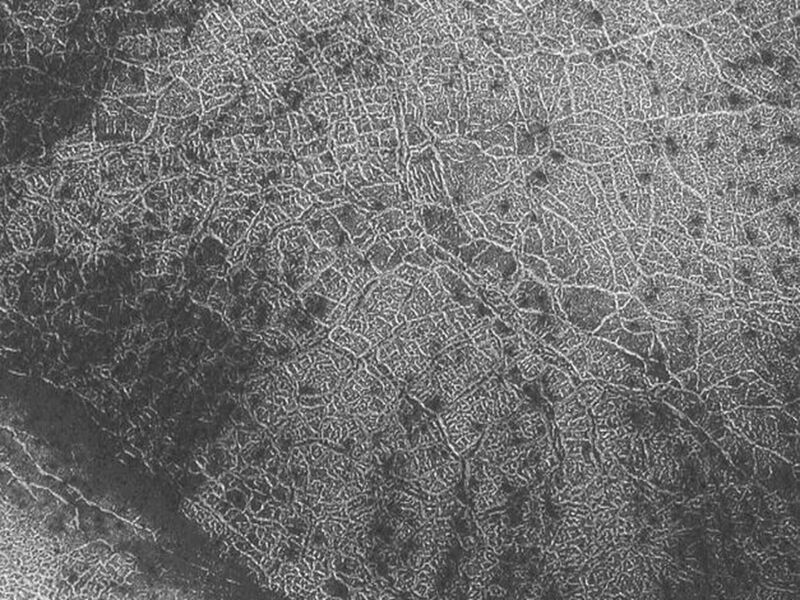 Sometimes these patterns look something like a city map, or the view from above a city lit-up at night. This Mars Global Surveyor (MGS) Mars Orbiter Camera (MOC) image shows an example from the south polar region near 80.7°S, 70.6°W. Polar polygons on Mars are generally believed, though not proven, to be the result of freeze/thaw cycles of ice occurring within the upper few meters (several yards) of the martian subsurface. 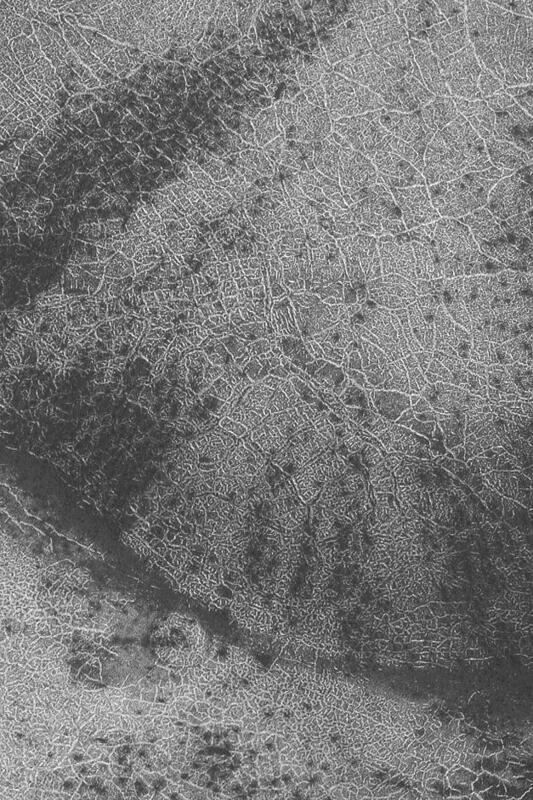 The image shown here covers an area about 3 km (1.9 mi) across; sunlight illuminates the scene from the upper left.